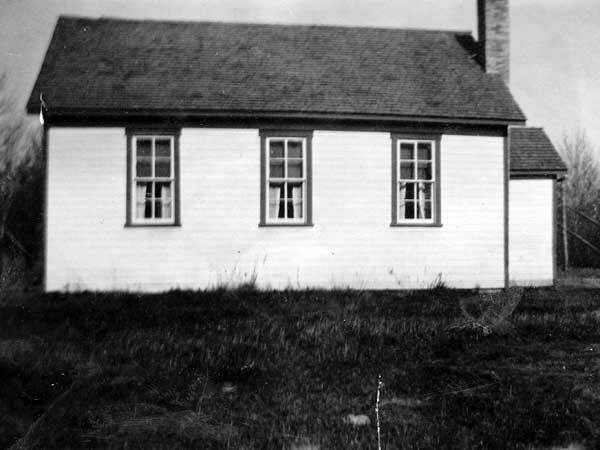 The McCreery School District (not to be confused with the McCreary School District at McCreary) was established in June 1893 and a one-classroom wood frame school operated at SE28-8-9W in the Rural Municipality of South Norfolk, on land donated by farmer William McCreery, for whom the district was named. The school closed in 1943 as students from the area went to Treherne Consolidated School. The district was dissolved in 1959. The school building was sold to a local farmer who moved it to his property for use as a granary. It is commemorated by the name of the adjacent municipal road. Among the teachers who worked at McCreery School were Kenneth Fessendon, Miss Mitchell, J. W. Wilton, Andrew Moore, Beatrice Parker, Gwen Anderson (1941-1942), and Olive Elliot (1942-1943). GR8461, A0233, C131-2, page 2. Tiger Hills to the Assiniboine - A History of Treherne and Surrounding District by Treherne Area History Committee, page 62. McCreery land grant (SE28-8-9W), Western Land Grants (1870-1930), Library and Archives Canada.